Ducharme’s cream is the solution for all minor everyday skin ailments ! Ducharme’s cream has soothing, regenerating and moisturizing properties that have been clinically proven. 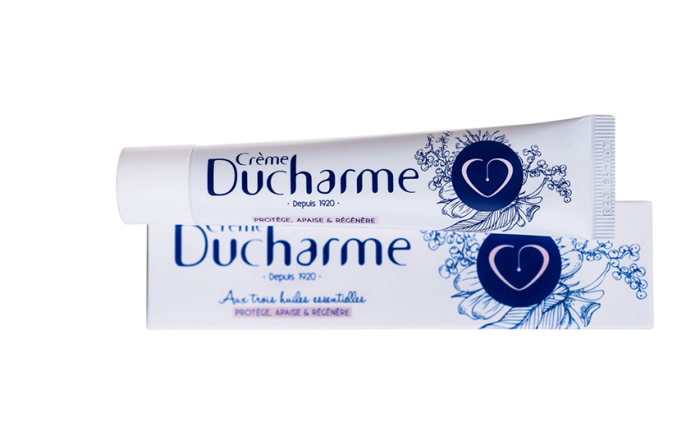 Ducharme’s cream is an excellent product to protect and repair all types of superficial skin aggressions (chapping, irritation, dryness, sunburn, flaking). The cream of everyday life that the whole family needs. Ducharme’s cream is adapted and very appreciated by all (men, women, children, seniors) in all seasons and all occasions. THESE THREE ESSENTIAL OILS USED IN THE COMPOSITION OF DUCHARME’S CREAM SOFTEN AND NOURISH THE SKIN, PROTECT IT FROM EXTERNAL AGRESSIONS AND PARTICIPATE IN ITS REGENERATION. Its soft and fruity smell makes it one of the essential oils perfect for beauty care. 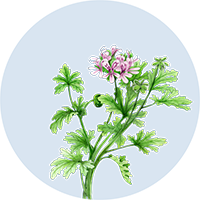 The Geranium (Pelargonium graveolens) essential oil possesses regenerating and astringent properties. 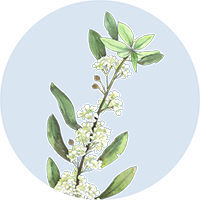 Native to the tropical regions of Asia, Litsea (Litsea cubeba) also called exotic verbena is an evergreen tree whose inflorescences give fleshy fruits from which is extracted the hot and exotic pleasant lemon-scented essential oil. 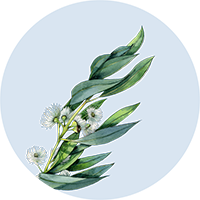 Very widespread over the world (Spain, Chile, India, China…), this beautiful tree of the aromatic family of Myrtaceae gives Eucalyptus essential oil (Eucalyptus globulus) that possesses healing properties. and then Potassium to moisturize the upper layers of the skin. Apply a pearl of cream on a cleansed skin. On the lips, face, hands, feet or any other body part requiring it.